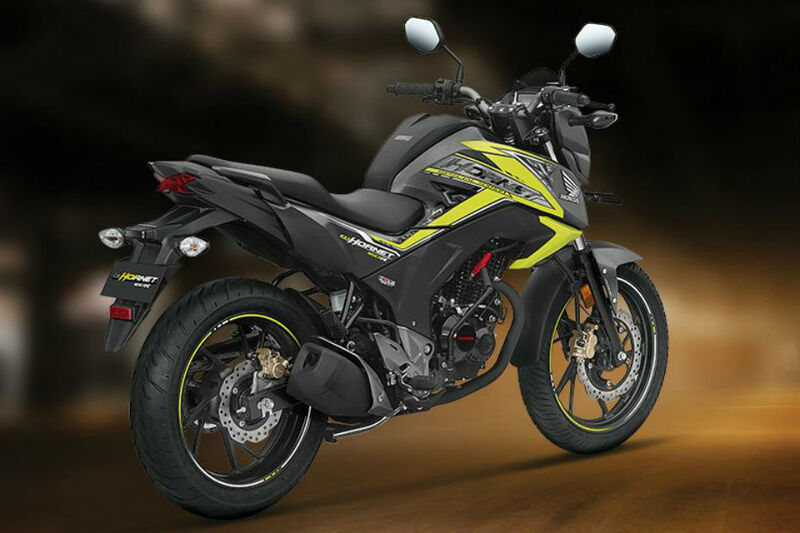 Honda’s premium 160cc naked, the 2018 CB Hornet 160R has witnessed a marginal price hike of Rs 559. The Standard (front disc and a rear drum) variant of the motorcycle now costs Rs 85,234, while the CBS (front and rear disc) version will set you back by Rs 89,734. Among the ABS variants, the ABS STD now costs Rs 90,734, while the top-end ABS DLX (disc on both ends) model now retails for Rs 93,234 (all prices ex-showroom Delhi). This comes in after Honda recently hiked the prices of the CBR 250R. For 2018, Honda upgraded the CB Hornet 160R with an LED headlamp, refreshed digital instrument cluster with blue backlight, new graphics on the bodywork, hazard lamp function, and a low-maintenance seal chain. The 2018 Hornet was the first motorcycle to get LED headlamp among its rivals, and the brand also introduced single-channel ABS as an option. The motorcycle draws power from a 162.71cc single-cylinder H.E.T. air-cooled engine. It generates 15.09PS at 8500rpm and 14.5Nm at 6500rpm, and is paired with a 5-speed transmission. Brakes include 276mm and 220mm petal discs at the front and rear respectively. The STD variant features a 130mm rear drum to keep costs in check, albeit at the expense of braking performance. The diamond-type frame rides on telescopic front forks and a rear monoshock. The 2018 Honda CB Hornet 160R locks horns with the Suzuki Gixxer (starts at Rs 77,015), Bajaj Pulsar NS 160 (Rs 81,626) and the TVS Apache RTR 160 4V (starts from 81,490) (all prices ex-showroom Delhi).